Am 17. 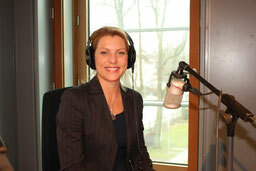 Februar konnte Fräulein Audey sich bei 90,3 in der Musikbox vorstellen. Es war eine großartige Erfahrung und mit Hilfe der professionellen und sympathischen Moderatorin, Jacqueline Heemann, hat es sehr viel Spaß gemacht. Wir danken dem NDR herzlich und hoffen, dass es allen Zuhörerinnen genauso viel Freude bereitet hat. Mehr Tipps und Tricks in Sachen BHs geben wir gerne bei einem Besuch in unserem Ladengeschäft weiter.. I am extremely impressed with your writing skills as well as with the layout on your blog. Is this a paid theme or did you modify it yourself? Either way keep up the excellent quality writing, it's rare to see a great blog like this one these days. With havin so much written content do you ever run into any issues of plagorism or copyright infringement? My blog has a lot of completely unique content I've either written myself or outsourced but it appears a lot of it is popping it up all over the web without my authorization. Do you know any ways to help prevent content from being stolen? I'd certainly appreciate it. I read this article fully on the topic of the difference of most recent and previous technologies, it's awesome article. Hiya! I know this is kinda off topic however , I'd figured I'd ask. Would you be interested in trading links or maybe guest authoring a blog article or vice-versa? My site addresses a lot of the same topics as yours and I think we could greatly benefit from each other. If you're interested feel free to send me an e-mail. I look forward to hearing from you! Excellent blog by the way! Hello there! I know this is kind of off topic but I was wondering which blog platform are you using for this site? I'm getting tired of Wordpress because I've had problems with hackers and I'm looking at options for another platform. I would be great if you could point me in the direction of a good platform. My partner and I absolutely love your blog and find nearly all of your post's to be just what I'm looking for. Does one offer guest writers to write content in your case? I wouldn't mind writing a post or elaborating on a number of the subjects you write related to here. Again, awesome website! For newest information you have to visit the web and on internet I found this web page as a best website for most recent updates.